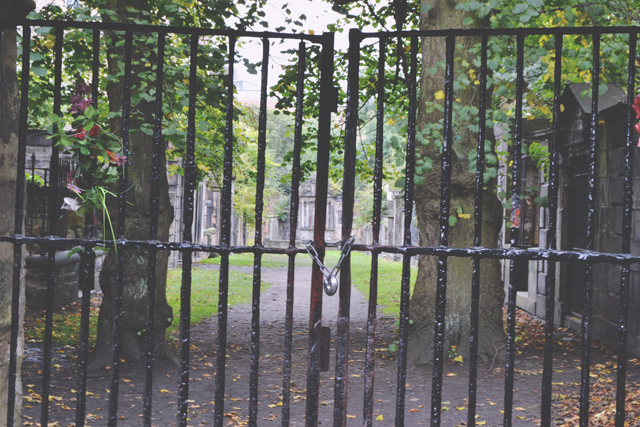 Greyfriars Kirkyard is probably my new favourite cemetery. 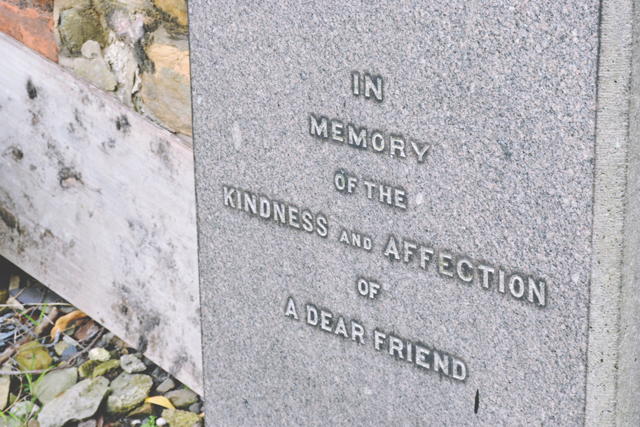 Yes, I'm the sort of person who has favourite cemeteries, and this one has just taken the number one spot. 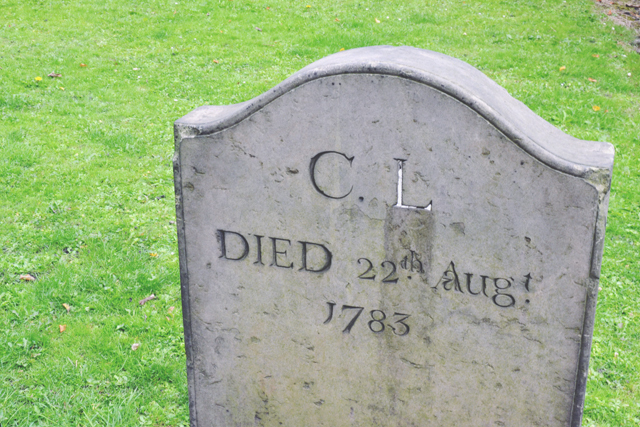 It's like Myspace for graveyards in here. 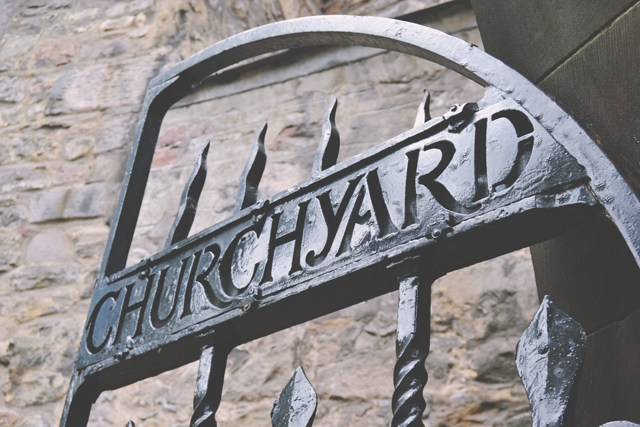 For some reason, and I have no idea why, I had it in my head that Greyfriars Kirkyard was a little church burial ground. It's not. It's actually about 5 acres which is fairly large for a churchyard. 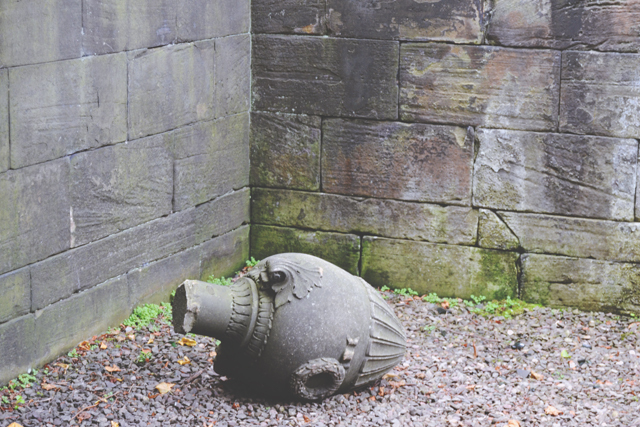 Like Old Calton Burial Ground, the architecture is absolutely stunning. 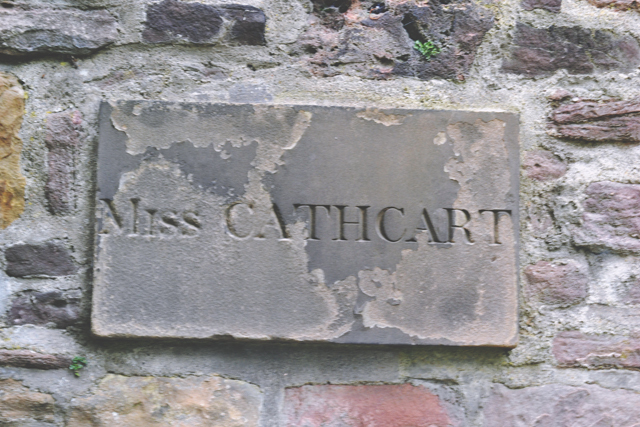 It's very true to that of the surrounding city, with Gothic details and Craigleith sandstone a-plenty. 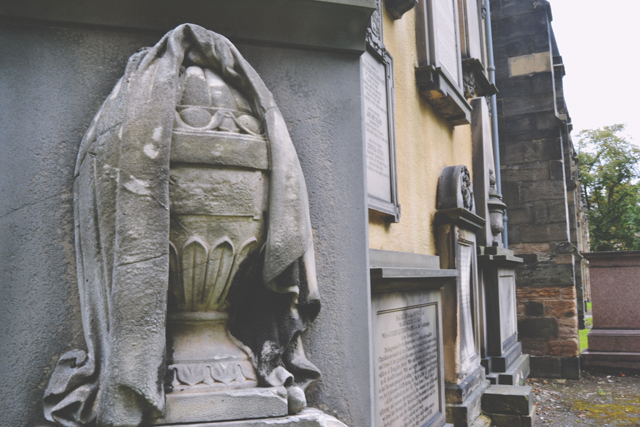 However, Greyfriars is probably best known for the story of Greyfriars Bobby, the little dog who would sit at his master's grave every day. 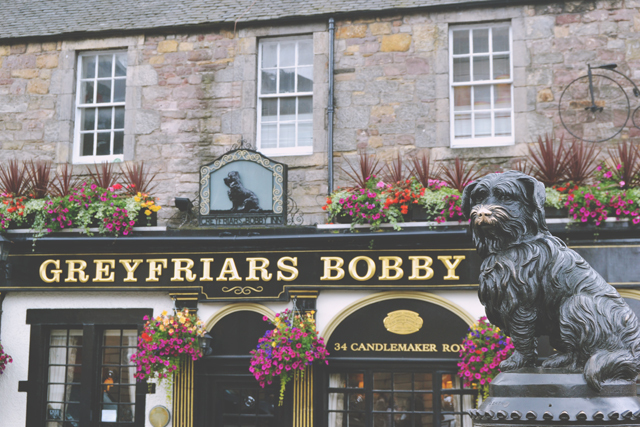 Although it seems to be a fabricated story, it's still very sweet, and Bobby even has his own pub outside the cemetery gates. 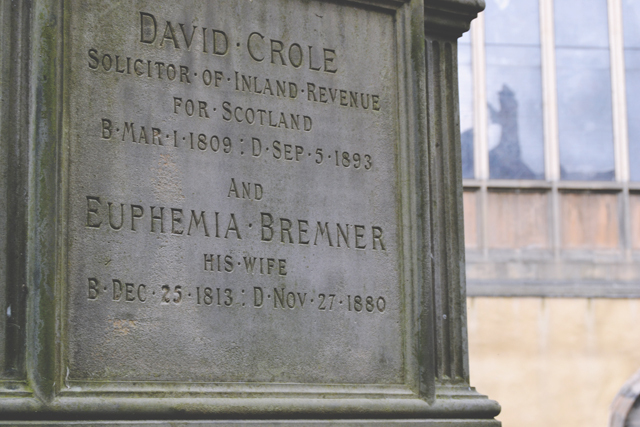 This was my favourite part of the burial ground: Covenanter's Prison. 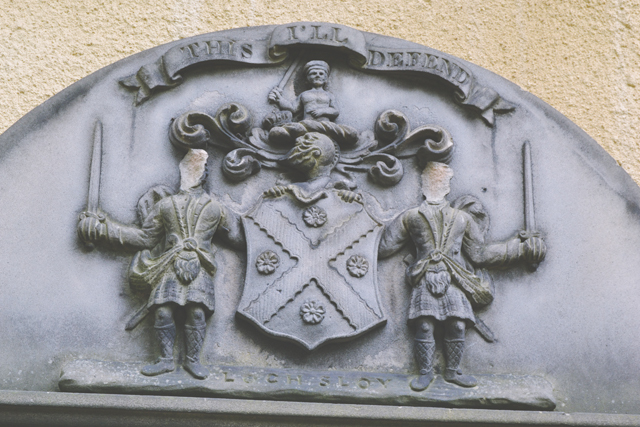 In 1679, this part of the churchyard was used to hold over a thousand men who supported the National Covenant. 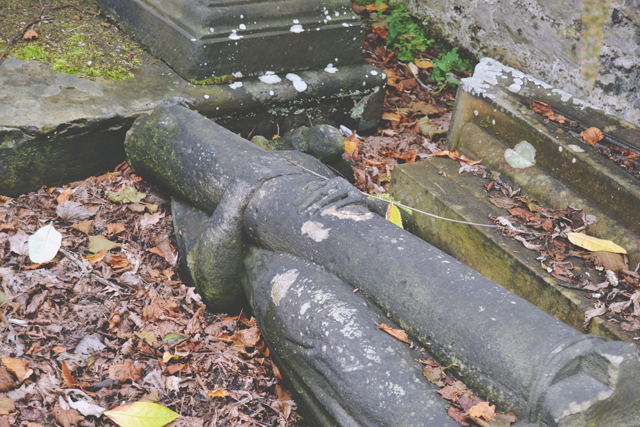 At the time, it wasn't a burial ground- They didn't just chuck them in with the graves! These days, the area is gated off due to- and I kid you not- poltergeist activity. The council presumably thought it a health and safety risk although, funnily enough, they do allow tour guides to lead their groups in during ghost tours. 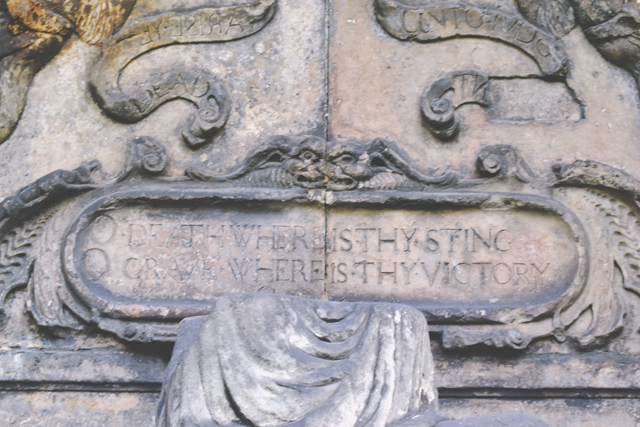 There are many almost-anonymous graves in Greyfriars and I think they fascinate me more than those which have full obituaries engraved. These iron bars are called mortsafes, and where installed to prevent resurrection men stealing bodies and selling them to medical schools as cadavers. This was a big business on the black market until the Anatomy Act of 1832. In some cases, families would rent mortsafes just long enough for the body to decay. 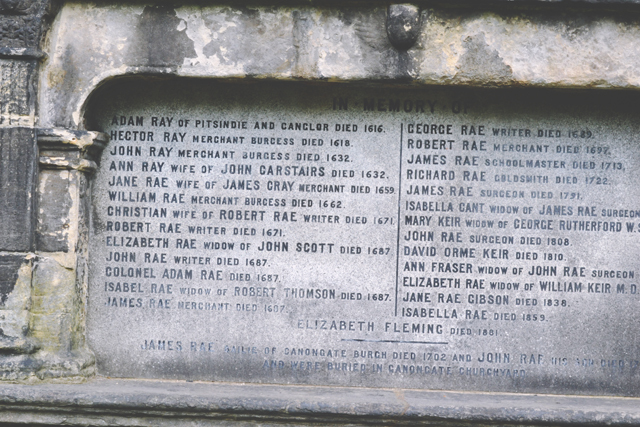 This grave fascinated me because the spelling of the surname changes from Ray to Rae around the 1630s. 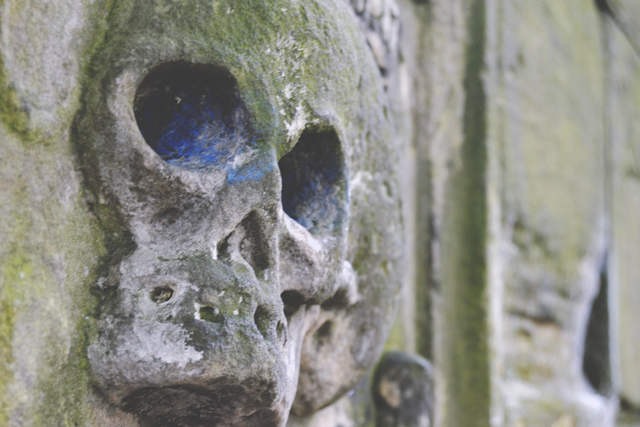 I highly recommend Greyfriars Kirkyard to any morbid folk like me who happen to be visiting Edinburgh. 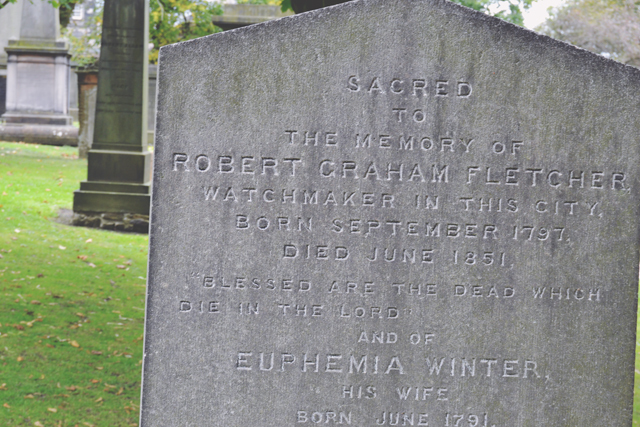 When you look past the myth of Bobby, there is a whole churchyard filled to the brim with history. I've never actually been in here. Even though it is a really touching story. My mum's friend used to own the pub! No way! That's so cool! 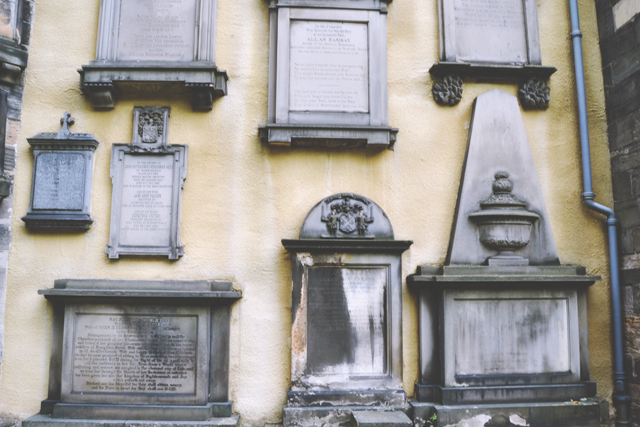 I love cemeteries and this one looks like a BRILLIANT one, especially the whole "real Tom Riddle" thing! Ooh yes! Please do! It reminds me of Mrs Doubtfire, although that's Euphegenia. 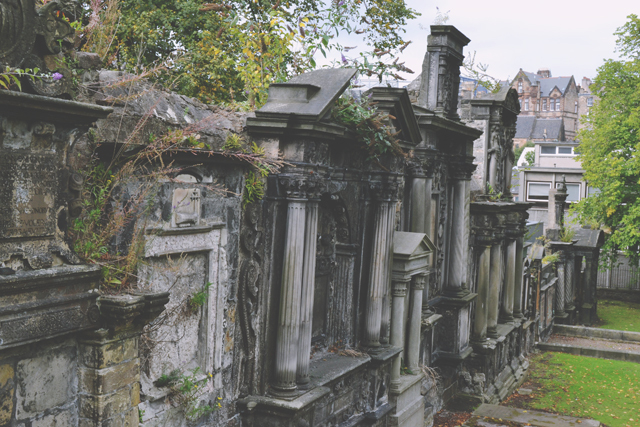 Glasgow Necropolis is top of my list! 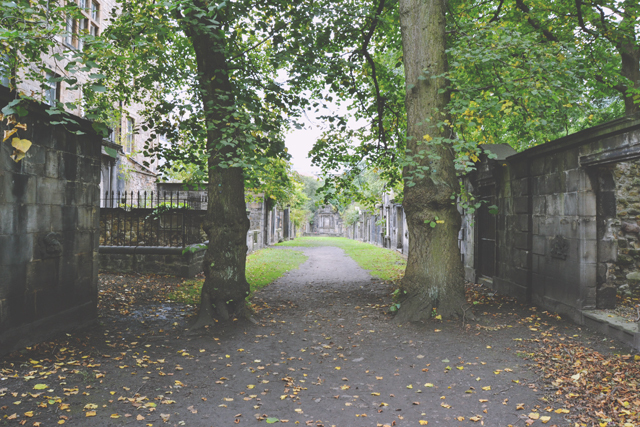 There's a graveyard in my university city which is quite similar to this one. It's huge, and everything just looks so wild and natural. It's like a mixture of a graveyard and a small woodland - graves dotted about and everything growing around them. I love it! I've actually been there! 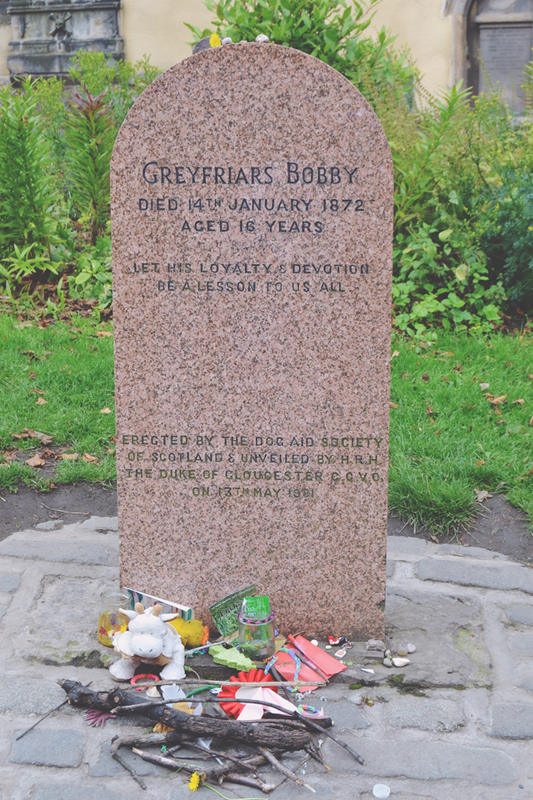 I love the story about Greyfriar's Bobby even if it might be made up. It's still a sweet and sad story. Plus it's a cute statue! Great pictures! It is still a really sweet story. It's really cool that you've been here too. 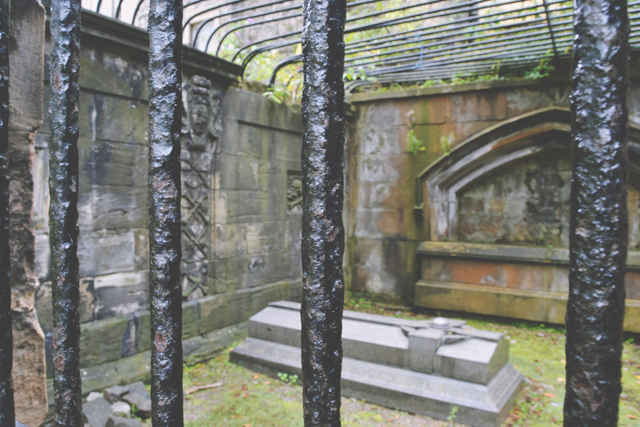 I have never been to the kirkyard, which seems stupid because it looks incredible! 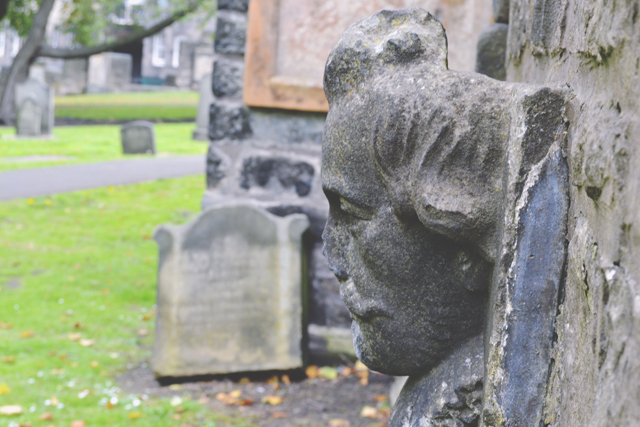 On my visit to edinburgh last month we actually visited the graveyard three times- twice on a ghost tour and then once during the day time to see it properly. 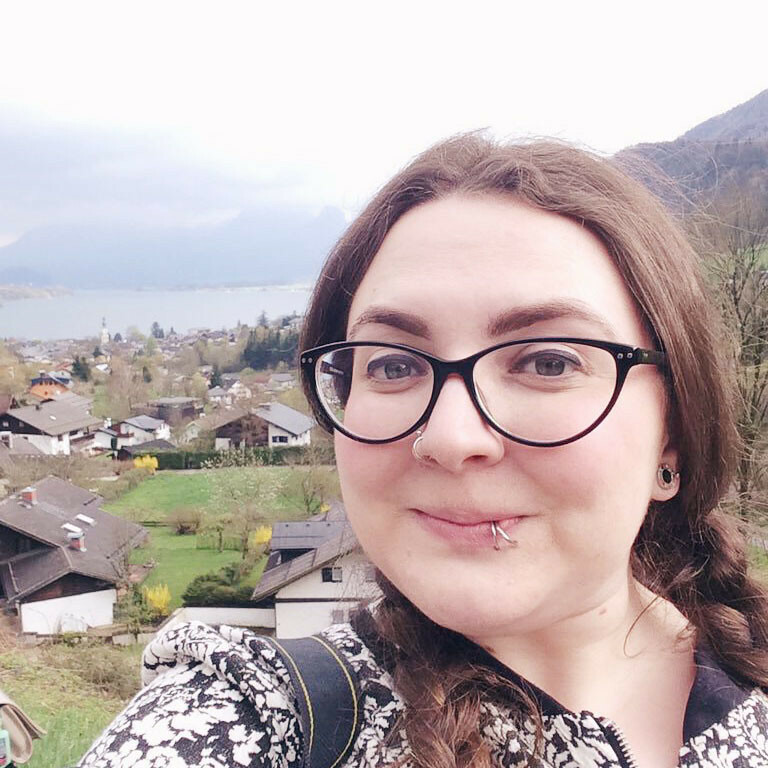 The ghost tours that happened inside were actually really great- they share so much history, stories and creepiness that it definitely was a brilliant experience to have! I want to go on one of the ghost tours but I'm a chicken and I'm worried I'd be too scared! I also seem to end up visiting cemeteries when I go to new places! 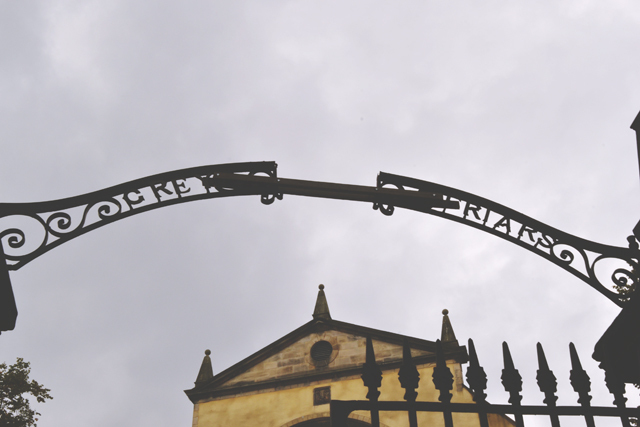 In this case, though, Greyfriars is just around the corner. 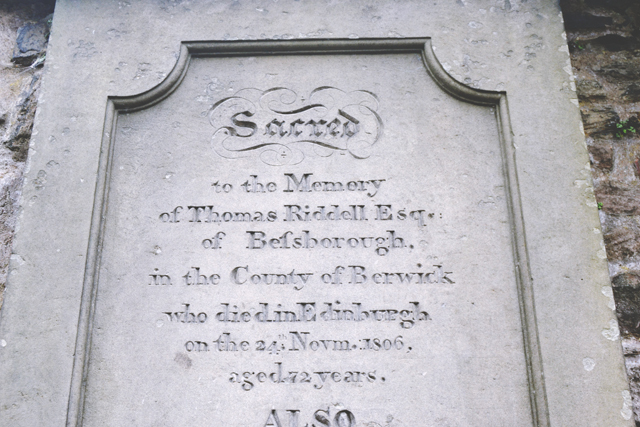 I love the Greyfriars Bobby and Tom Riddle stories. I'm glad I'm not the only one!